When the Canmore and Area Health Care Foundation set out to fund renovations to the Canmore General Hospital’s cancer care unit, the board knew it would be a huge task. At the time, in late 2008, the board estimated it would cost a million dollars to upgrade and grow the facility. The doctors and nurses were providing quality care, but the cancer care facility had its limits. The foundation board, with the approval of the hospital’s administration, wanted to create a larger, more comfortable space with windows. Effectively, the changes would reduce the number of patients driving to Calgary for care, while also improving the quality of the experience, giving individuals more room and a view of the mountains. Lock said the board estimated it would take five years to raise the money. As the word got out to the community, people started donating. Lock said donations came in from across the Bow Valley: from ten to thousands of dollars, individuals and staff groups were contributing what they could offer. Initially, the foundation was seeking a large-scale donor to kick-start the fundraiser. As it turned out, it was the community who jumped onto the cause. To Lock’s surprise, the foundation raised the first $435,000 within six months. Then, the foundation received a phone call that would drastically change its plans. “Guy Turcotte phoned us and said, why don’t you come on up and tell me what you’re trying to do,” said Lock of Guy Turcotte, one of the owners of the Silvertip Resort. Lock, along with other board members, went to Silvertip and presented Guy Turcotte with the cancer clinic plans. Then, Turcotte made them an offer: make it to $500,000 and he would match the donations with another full $500,000. “We almost fell off our chairs,” said Lock. It only took two more months to raise the remaining $65,000. With that, the foundation had raised in eight months what it had budgeted five years for, thanks to Turcotte’s commitment to match the funds, said Lock. Renovations to the Bow Valley Cancer Care Clinic were completed in 2010 – not even half way through the CAHCF’s initial fundraising timeline. 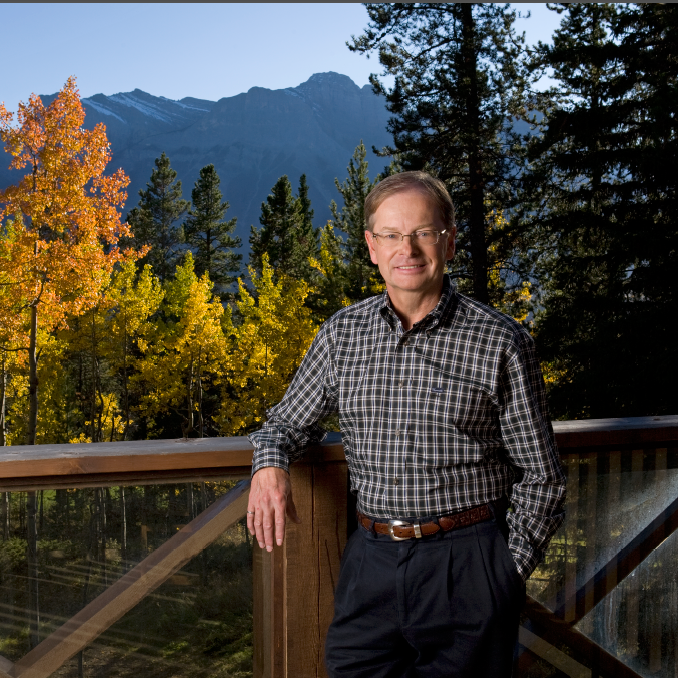 “For folks that lived in the Bow Valley it was improving their quality of life,” said Guy Turcotte. But Turcotte’s interest in the foundation’s proposal didn’t end there. Beyond providing better patient care, he saw another benefit. “It was cutting out the amount of energy use and that speaks to me a lot,” said Turcotte. Turcotte’s involvement with the foundation is long standing, with the CAHCF’s annual golf fundraiser hosted at the Silvertip Resort. He’s been a part of the tournament since it began; June 2017 will be the 15th event. For Turcotte, the hospital is an important way to give back to the community because everyone uses it, or will need its resources, at some point in their life – he said he was happy and privileged to be involved in the cause. Nearly 800 Bow Valley residents have received care or services at the Bow Valley Cancer Clinic since 2001. Currently, about 100 patients visit the clinic for care each year.